The ongoing slow down in the Indian automotive industry doesn’t seem to have an impact on French auto giant Renault. The company has sold more than one lakh units of its popular SUV Duster in just two years of its launch. Duster is leading the compact SUV segment in the country since its launch in Dec 2012. Its highly attractive design and off-road capabilities have made it immensely popular in India. Renault has launched a special edition of Duster to celebrate the one lakh mark. The limited edition model will be on sale only in the month of June this year. 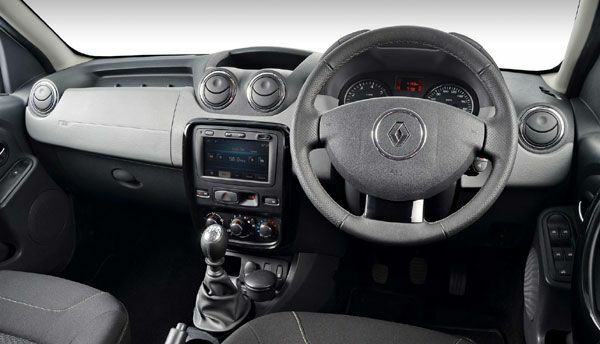 Renault has made slight changes in the special edition like steering mounted controls, 2DIN MP3 player with USB and AUX-in connectivity, Anti-lock Braking System (ABS) and two airbags. It has got a refreshed interior with beige theme. Based on the 85bhp RxL model, the limited edition carries the same dimensions and mechanism. Renault also came up with the Duster Adventure Edition of 85bhp RxE variant recently. The company also showcased the 110bhp RxL Duster Adventure Edition at 2014 Delhi Auto Expo in Feb this year. The adventure edition carries smart cosmetic changes inside and out. The one lakh limited edition and the adventure edition have the same mechanism but the adventure one has got exterior changes and slight interior changes. Both the editions carry the same 1.5-litre 1461cc four-cylinder engine good for 85bhp and 200Nm of torque mated to a 6-speed manual transmission. Duster Adventure Edition costs at Rs. 9.16 lakh (Delhi) and the limited ‘Duster 1 lakh’ edition is priced around Rs. 9.99 lakh (Delhi). Renault has uplifted the Duster for international market with smart cosmetic changes, especially inside. Duster facelift is expected to get a new petrol engine as well. 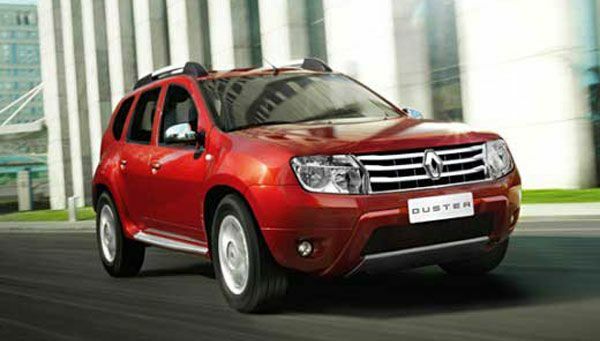 Duster took no time to reach the one lakh mark in the competitive Indian market. 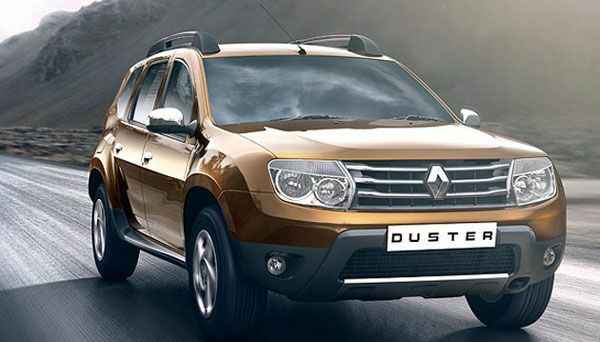 In just two years of its launch, Duster is the leading the market with sky high sales figures. The compact SUV has established Renault as a major key player in the emerging Indian automotive industry. Renault is reportedly in the top 10 car manufacturers of India after Duster’s super success. Interestingly, Renault has launched a unique initiative named ‘Gang of Dusters’ to stay in touch with the customers to know their views. The initiative is designed to bring the owners of Duster together for travelling across the most beautiful and adventurous landscapes. The rugged SUV truly defines the Renault’s slogan ‘Drive the Change’. Duster is available in 11 diesel and 2 petrol variants making it hugely popular in the compact SUV segment. Duster was initially developed by Renault’s Romanian subsidiary Dacia as Dacia Duster in 2010. It’s offered as Renault Duster in some global markets like Iran, Russia, South America and India. Founded in 1899, Renault is leading French multinational automobile company. Renault is reportedly world’s ninth largest automaker in terms of production. Renault initially used to produce trucks, buses, tractors, tanks, coaches. The popular car maker entered the Indian market in 2005 with Mahindra as Mahindra Renault Limited but the partnership didn’t last long. Renault is currently partnered with Japanese motor company Nissan in India. They have a joint manufacturing plant in Chennai, Tamil Nadu.